Failing dentures can create a massive difference to your mouth’s appearance, comfort and function as well as oral health and digestive health. 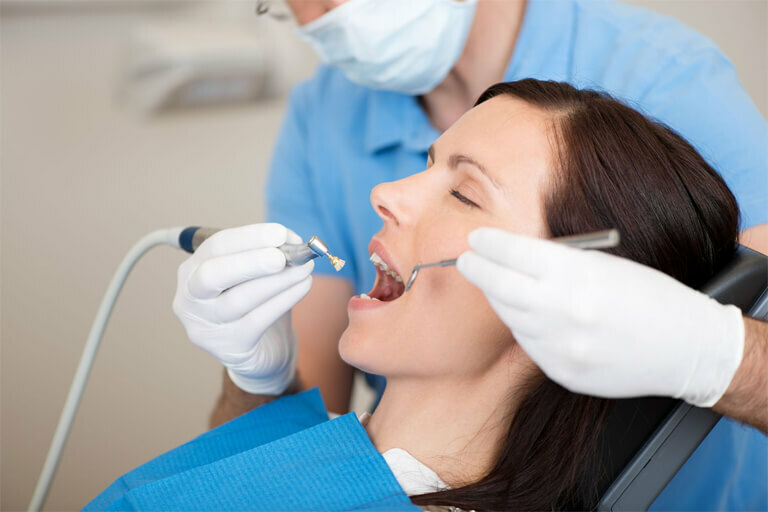 Multiple accurate impressions and bite analysis are essential. Dentures are removable crafted prosthetic pieces used to replace missing single teeth or a whole set. They are normally made of acrylic and porcelain and can be taken out to clean. Because the dental laboratory and dental practice at ICDS are under one roof, same-day treatments, which provide the best possible outcome are available. Detailed colour-matching and composite enhancements that the laboratory provides create an exceptionally natural look. All our work is articulated with flexible joints and can be made of porcelain or composite instead of conventional plastics. The colour-matching will go with your natural gums – a choice not available in many dental practices as the whole team are here at your request. The fee is generally inexpensive, compared to longer-term fitted alternatives. If you require ‘Dentures in a Day’, we can create a whole new set for 30% on top of the agreed fee. The lifespan of our dentures is set at around 20 years with a reline maintenance programme, as opposed to five years from alternative private laboratories/dental practices. You will be welcome to come in for any adjustments in the first six months after natural settlement. As part of our membership, if you have full dentures, cleaning and maintenance are covered in the Oral Healthcare package. We also offer a unique opportunity for potential patients. Call 01285 821220 to arrange a visit to possibly re-align your current denture with temporary material, to feel a potential improvement in comfort. We care very much about our patients, especially those who suffer from nervousness. We will ensure the greatest care is taken over you and your requirements. An over-denture is custom-made from aesthetic acrylic/composite or porcelain, with a metal reinforcement. This removes the need to use Fixadent products as it is attached into the mouth with titanium plugs in the mouth structure. This is detachable for cleaning purposes. However, the difference between these and normal dentures is that the fit feels much sturdier and naturally part of the mouth. Over-dentures will give you back the confidence you need to be able to chew most types of food and give you a renewed confidence in social situations. Another point to remember is that as the denture is secure on titanium plugs, it doesn’t need to cover the roof of the mouth, therefore allowing you to be able to taste food fully, improving your speech and avoiding the gag reflex that can be very common. In a nutshell, over-dentures can increase general well-being as well as confidence.